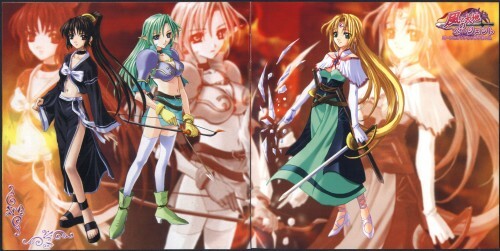 Kaze to daichi no pageant, it may be a PC game, I think. a greater dpi would just be wasted. the booklet is not very well printed either. so dont worry. i think this is good, pitty it has the line through the center, as this cannot be helped i still like this picture :), nice! Yeah sure they are cute.